We’re not talking about an ark. We’re talking about your website or web app, and building one means nothing if no one knows it’s there. You will not get the desired traffic or downloads by word of mouth. If people aren’t searching for keywords or keyword phrases you use for your search engine optimization (SEO) and saturate into your content, they can’t find you organically. Even if your organic SEO is set up correctly, you may not get the kind of traffic you want or need. So how do you get in front of new people with your new digital baby and drive the traffic somewhere to do something? IP Targeting/Venue Replay: Serving display ads to a targeted list or geo-frame a targeted area like a convention center where many potential customers would be at the same time. Web ID Plus is website visitor retargeting. We place a tracking pixel on your website that can match visitor IP to an email address, postal address, Facebook ID and location to send an email, send a mailer, serve a Facebook ad and/or serve a display ad. 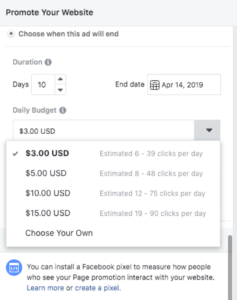 Once your audience is defined, you can choose a daily budget that you want to spend, the duration of the campaign and payment method. …or by gender, age, location, demographics, interests and behaviors. To be the most targeted and to minimize any wasted ad impressions, we would recommend using the Google Ad Network with a keyword search campaign. Over the Top (OTT) and Connected TV (CTV) video ad serving on Hulu, Sling, Roku, etc., is a relatively newer way to reach people. You may hear the terms used interchangeably, but basically CTV is a television that is connected to the internet that streams OTT content using applications. This year will be the first time that Google and Facebook’s combined share of digital ad marketing will drop. This is partly due to marketers seeking new ways to reach their target and create more engagement in more channels like OTT/CTV. If you currently watch Hulu for instance, unless you pay for the premium service without ads, you see ads during your streaming session. Sometimes, you might see the same ad served more than once while watching your favorite shows. Like other social channels, these apps know your location and basic demographics allowing marketers to select the audience to serve video ads to. These ads are served midstream instead of before or after the program and you’re not able to fast forward through them. What this means for marketers is that it’s more likely that the audience actually sees the ad versus ignore it. We’re seeing a big shift to OTT/CTV for retailers and home services companies this year, but right now is a perfect time to enter this market before it becomes over saturated with marketers placing video ads. 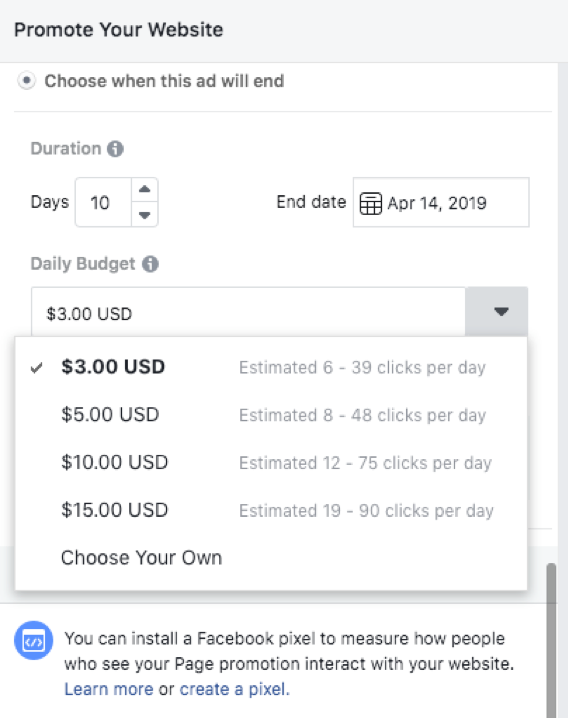 The possible biggest reason this marketing channel isn’t oversaturated yet is because it’s newer and because creating a video ad is more involved (i.e., more expensive) to produce than a static image ad. This requires more planning and budget. IP targeting is a way to serve ad impressions to a targeted list you have or hyper-defined location that isn’t possible using only the Google Ad Network to serve impressions. Typically, the targeted list option is used if you have a list of prospects or if you acquire a list from a direct mail campaign and want to use both channels in an integrated campaign with the same creative/offer. IP targeting using the venue replay option would be a great way to serve ad impressions following a big event/convention. The technology will capture device IDs at a specific location in a specific time frame. Then it ties that device ID to a home network where it will serve display ads to all computers/mobile devices on that home network after an event. Web ID Plus is a way to track anonymous website visitors who come to your website but don’t convert to a customer. You can then send an email or a mailer or serve a Facebook ad and/or a display ad. You can also suppress existing customers to make sure you’re not wasting impressions. This is a no-brainer option for once your website is seeing traffic above 15,000 visitors per month and you want to increase returning traffic and increase conversions.